Conduct, dedication, and proficiency have been the guidelines for any and every Purebred Jiu Jitsu Guam belt promotion. Big respect for these folks that have been marinating in that grind. 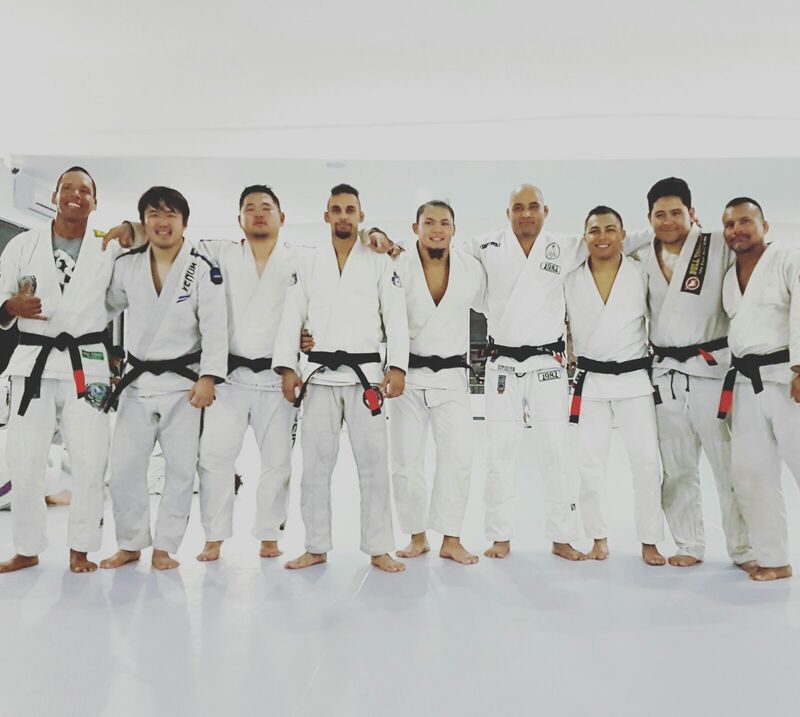 On behalf of TheForce and Guam we would like to congratulate Ray Roberto, Jun Sun, James Paek, Mike Sanchez, Eric Sian, David Tuncap, Joshua “Wu” Jerome and Ken Concepcion on receiving their Brazilian Jiu Jitsu Black Belts! It is a great day for Guam martial arts with these 8 new BJJ Black Belts under Professor Stephen Roberto of Purebred JiuJitsu Guam. Eric Sian and Michael Sanchez are the youngest black belts on Guam at age 24. 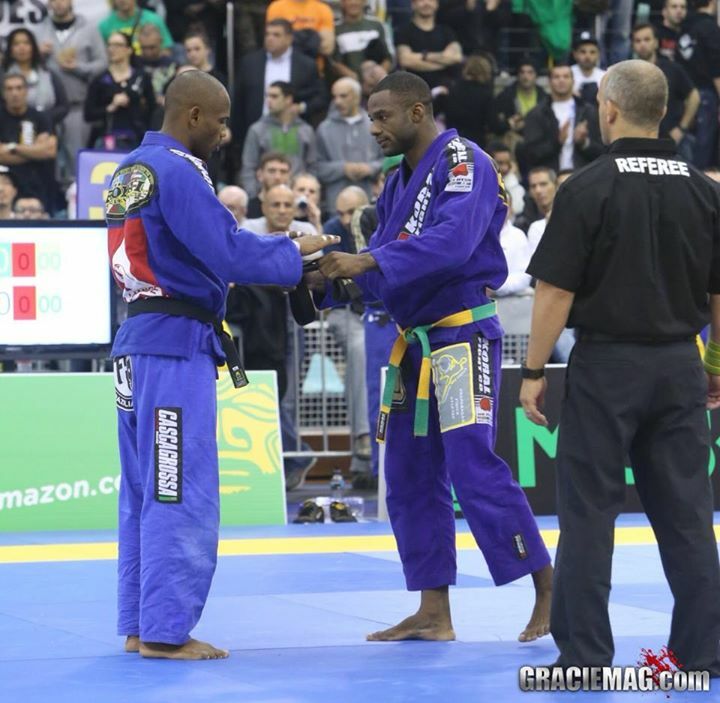 There are now 15 black belts whom Roberto has promoted in his nine years as a black belt. 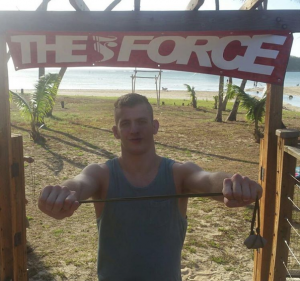 Keenan Cornelius back to Guam with his first lesson in Guam’s native and trademark weapon, the sling. HAFA ADAI,THE FORCE & THE MARIANAS OPEN! 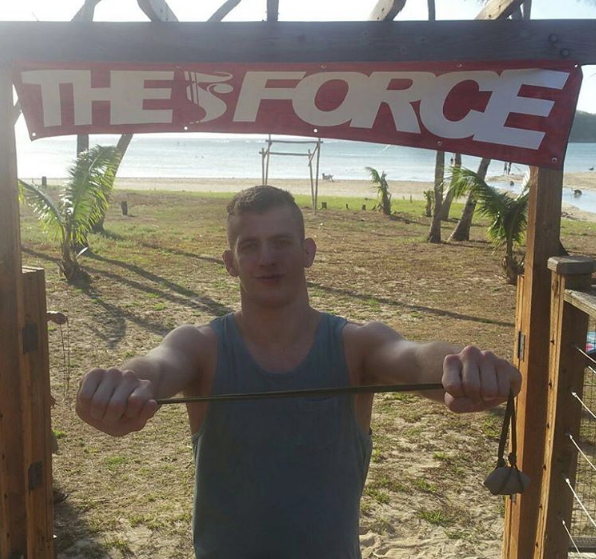 Frank the Crank Camacho welcomes Keenan Cornelius back to Guam with his first lesson in Guam’s native and trademark weapon, the sling. The Marianas Open brought some of the top-tier talent in Brazilian jiujitsu to Guam to compete in the Absolute Black Belt Championship — eight competitors from all over the world, including 2015 Marianas Open champion Keenan Cornelius. The Marianas Open faced a setback Friday afternoon, when it was announced that another high-profile fighter, Rhalan Gracie — grandson of Helio Gracie, the founder of Brazilian jiujitsu — would be unable to fight due to a knee injury. Gracie’s knee had been previously injured but he was planning on making his return here in Guam. Gracie initially said that he was 50-50, but later determined that he couldn’t fight. Though he’s disappointed he won’t be able to fight, he has enjoyed his time on Guam. Though not originally scheduled to fight, Guam native Jacob Guerrero was able to step up at the last minute and fight in place of Gracie. Guerrero will be facing off against Cornelius in the first round. Along with Guerrero, two other Guam fighters will be participating in the Marianas Open. Bryant Pangelinan was born in Guam, but currently lives and trains in Concord, California. Terrence Aflague was born in raised in Yona, where he still resides and has trained since 2001. For Pangelinan, having the opportunity to come home and fight is something he’s looking forward to. Three of the fighters — Felipe Pena, Guilherme Augusto Santos and Igor Schneider — traveled all the way from Brazil to fight in the Marianas Open. Santos and Schneider, both new black belts, said they were excited to be on the island and were looking forward for the opportunity to pull off an upset. Pena, however, could perhaps be the favorite to take the championship from Cornelius, though he did lose to him in the pair’s only previous meeting. A former world champion, Pena’s already claimed the European Open Championship this year. He’s enjoyed his time on Guam so far, particularly his trip to Cetti beach, but had to admit he was a caught off guard when he got the invitation to fight in the Marianas Open. Along with the chance to fight in paradise, the $15,000 purse was a huge factor in getting these talented fighters to Guam. The goal is that offering big prize money will bring fighters to Guam, and in return the island’s jiujitsu scene will grow even larger. Cornelius said from what he’s seen the past couple years, that goal is well on its way to being accomplisched. The Marianas Open is being held Saturday at the Father Duenas Phoenix Center in Mangilao. Doors open at 8 a.m., with the Absolute Black Belt Championship beginning at noon. Tickets are $15 for adults and $10 for kids. The winners in each bracket will fight, with the winners of those fights contesting for the championship. Brazilian Jiujitsu arrived on Guam at a time when No Holds Barred Fighting and Gracie Jiujitsu were virtually synonymous. It was a time when fighting proficiency was previously defined almost exclusively by kicks and punches. It was a time where the surprise onslaught of Jiujitsu’s combat worth had its representatives hardly ever losing in professional and amateur full-contact fighting competition. As the sport of No Holds Barred Fighting evolved into Mixed Martial Arts competition, the curtains of secret techniques and strategies were opened wide for a receptive world to walk through. Martial Arts evolved speedily beyond the confines of style versus style and more towards conditioning and strategy. In due effect the rules, regulations, and point scoring system expanded Jiujitsu from “the Gentle Art” of self-defense to one of the most demanding facets of combat sports, high-level athletics, and unprecedented hand-to-hand martial science today. The Marianas Open was created in the thick of Guam’s Mixed Martial Arts heyday, and at a time when Guam Jiujitsu’s ambition began to sprout towards the light of larger tournaments. Under the council of World Competition decorated Jiujitsu Instructor/competitor Mike Fowler and Spearheaded by the efforts of Steven Shimizu and Tony Bashaw, the event modeled itself consistently with the International Brazilian Jiujitsu Federation events and standards—preparing Guam Jiujitsu practitioners with a test model and launching pad into larger events throughout Asia, The United States and towards creating the drive for a Guam-based Jiujitsu World Champion. In a time when Mixed Martial Arts was catapulting throughout the community, The Marianas Open started as a project to reset Guam back into basics and provide Guam with a preparatory event that would get our Jiujitsu competitors ready for larger tournaments. In the beginning, this extended hopes of a better training environment for our MMA hopefuls; but I n the process further distinguished Sport Jiujitsu from MMA competition. This effort has since expanded to evolve Jiujitsu far beyond the shadows of Mixed Martial Arts and into its own light. Today , alongside the Copa De Marianas, its mission has been successful with its veteran competitors garnering medals and gold medal finishes in events across the world as well as the ADCC Combat Championships and the Jiujitsu World Championships. With the momentum of 14 successful events, the Marianas Open and Copa de Marianas serves as the Ultimate Gathering for Guam’s Jiujitsu and Submission Grappling Community. of the event has taken form. GuamJiujitsu has fast improved to dominate tournaments in the Asian-Pacific region times over with more medals than we can count in the PanAsian Brazilian Jiujitsu and No-Gi tournaments in the Philippines and repeat outstanding individual and team performances in the TokyoOpen and Asian Open tournament in Japan. Through the baby steps taken from the MarianasOpen, Guam athletes have been kept in a motion that has helped to elevate our athletes to the mats and even podiums of World BJJ Power tournaments such as the Pan-American Jiujitsu Championships, the Pan-Kids, the US Open, and even the World Championships in California. As a longtime supporter of the Marianas Open, FokaiIndustries is taking this opportunity to salute the organizers, competitors, champions and sponsors of the Marianas Open for helping walk the steps for the positive footprints that Guam has placed firmly in World Jiujitsu today. 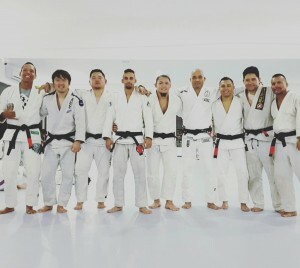 Purebred Jiu-Jitsu Guam lead instructor Stephen Roberto, a black belt in his sport, recently was invited to a teach a ground-breaking clinic to the judo team at Tokai University in Japan. The opportunity came about at the last minute, Roberto said, but it was too monumental to pass up. The invitation was part of a new wave in judo, Roberto said, where the traditionally conservative, strict sport has begun to open up to new possibilities. That includes trying to pick up tips from jiu-jitsu, a rival sport that has traveled a different historical course. Jiu-jitsu was once a major martial art in Japan, Roberto said, used primarily for self-defense, but it became less important in the past few centuries and with that, judo started to grow. Judo, a martial art used almost exclusively in sporting competition, is now much more popular in Japan, and Tokai University is the national power. A number of world champions, including two-time champion Hitoshi Sugai, have honed their craft at Tokai. Roberto is no stranger to conducting jiu-jitsu clinics. He’s traveled to several countries, including Japan, Ireland and the Philippines, to do just that. But his turn in judo class was a new one, and it came as a surprise. In late February, Roberto was in Sapporo, Japan, visiting Yoon Sugawara, a friend and former student who is opening a Brazilian jiu-jitsu affiliate gym there. The two had planned to host coaches from the Tokai University judo team, but time conflicts forced a change of plans. Because of the respect Roberto has in the martial arts world, Tokai decided it couldn’t pass up the opportunity to see what skills he could share with its judo team. 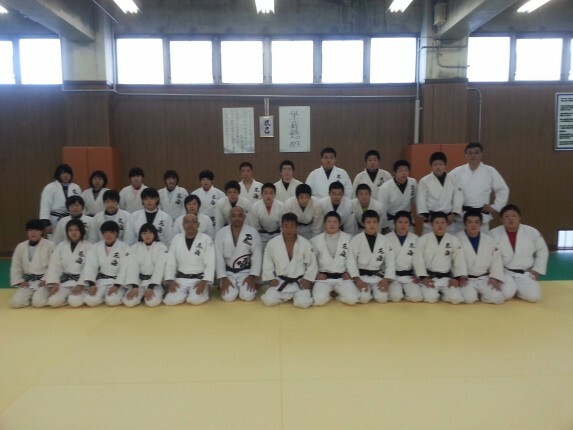 Sugai, now the technical director for Tokai University judo, invited Roberto to team training the next day. Roberto admits that his ability to speak Japanese is “bad, at worst,” but he wasn’t concerned about trying to instruct in a language he was unfamiliar with. He showed jiu-jitsu techniques, slightly modified to comply with judo rules, and said the students picked it up easily. Roberto spent the first four years of his martial arts career as a judo student, but he said he moved away from the sport because the strict rules and impracticality to everyday life made it unappealing to him. He’s always respected the sport, though, even as he’s become a black belt in rival jiu-jitsu, but working with the students at Tokai gave him a new appreciation for where judo is heading. Roberto said he hopes he can continue the relationship and build bridges, not just between the two arts, but between Guam and the rest of the martial arts community worldwide. That’s a two-way street, and while he shared techniques, he also took lessons away from Tokai. Most notably, he said, is the work ethic and dedication to their craft the students there have. The mutual respect he shares with his Japanese judo counterparts will now have a base to grow from. 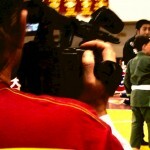 “In Japan, the way they train is very tough. They’re elite-level athletes,” Roberto said. “I’m blessed and grateful. Everything happens for a reason. I’m that kind of thinker. When Tracey and I came to Hawaii in 2010, our plan was to open a gym and start a life here. Things from the beginning were great. We took on the non profit kids club at first at a local recreation center. The only times available at the center were the kids class times, so we had to look elsewhere for the adults. We live on the countryside so there isn’t many commercial buildings. Everything is residential. A local house with a gym was available to hold classes at and the non profit was extended to cover adults as well and a service was brought to a community that it had been without for so long. The good fortune was short, and because of the landlords drug addiction, we lost the gym. Or it was lost for us. Since we started working the non profit we have had a great response from the community, but the local recreation center where we taught the kids classes would only allow one class per week for the adults. Now due to the recent Lloyd Irvin situation we lost the non profit for the kids. That was our biggest class and we want to get them back in Asap. Since 2011 we have struggled to find a gym to serve the area where we live, and it is finally coming true. I wasn’t sure about even writing this letter, but I need your help! To keep up with the cost of starting a new non profit, insurance, rent, mats. Whether a donation to the club by monetary means or equipment new/used. Anything to help us reinstate the kids class get us up on our own feet. We only have one month to prepare and the current tenants won’t move out until the day before we move in, so if any questions, message me here or email Northshorebjj@gmail.com Please share!